The property is immersed in greenery, interrupted by rocks of granite in extravagant forms reminiscent of the moon (Luna signifies moon) The sea is visible from many parts of the villa and particularly enchanting is the glimpse offered from the area of the garden used the least, the area used to access the villa. Surrounded by one hectare of land, the villa offers the possibility to enjoy large external spaces of a total of 300 sqm of terraced areas, including the patio furnished with a large table for 12 people, with sofas, wooden sun beds and stone seating areas.The patio is connected to an external kitchen with sink, cooker and stone barbecue. The Villa is equipped with a pleasant living room designed with rounded forms, and large picture windows that illuminate the interior and create a continuation to the exterior. Three of the five bedrooms have French windows leading to the garden. 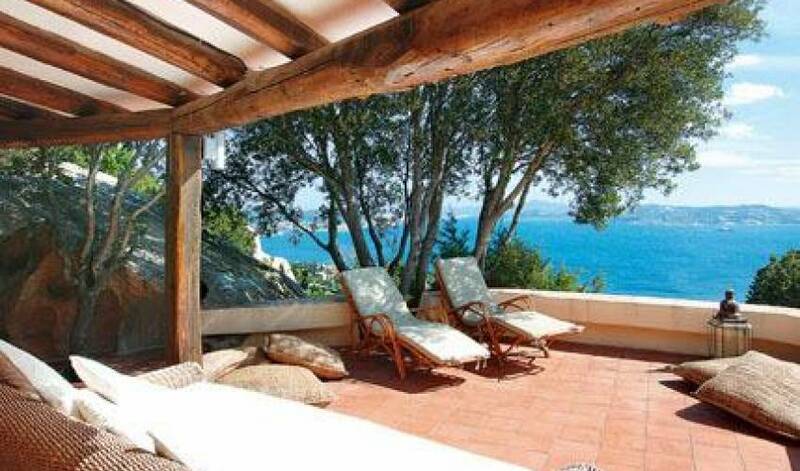 One of the bedrooms is only accessible from the exterior and is situated next to the swimming pool. 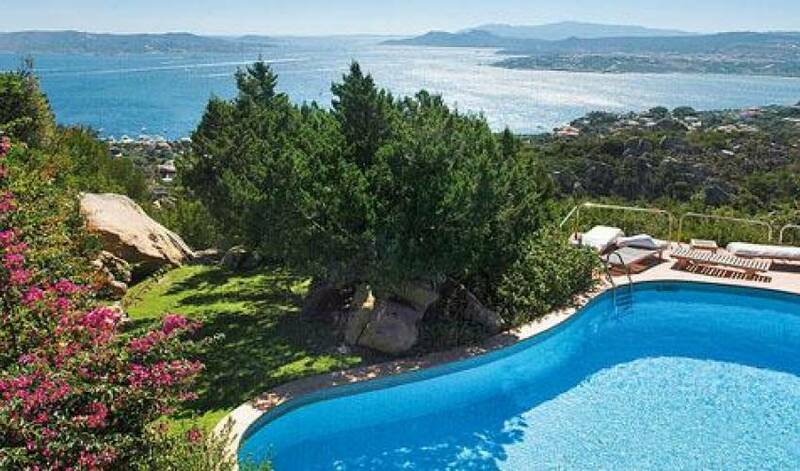 The swimming pool is positioned in front of the house, just 3 metres away. The living areas are enriched with objects on a seaside theme of evocative memories, making the rooms more like a villa lived in all year round rather than a holiday home. 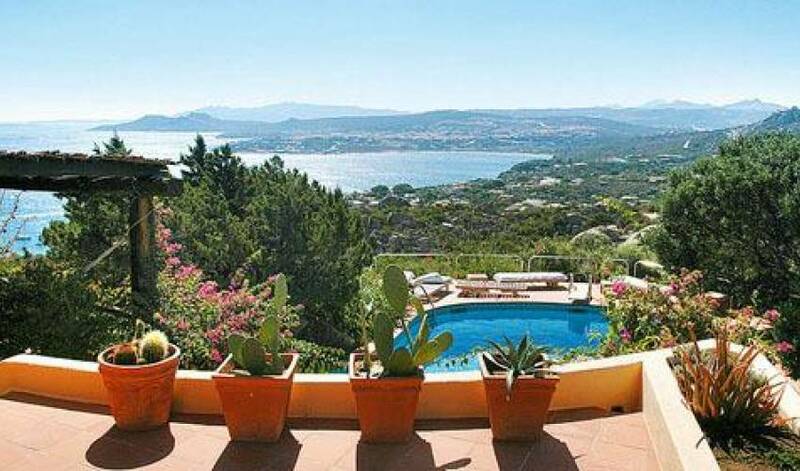 Designed in the early 1960's by a Spanish nobleman, the Count Rafael Neville from which it takes its name, Porto Raphael rises at 45 km from the airport of Olbia, facing the Archipelago della Maddalena. Small entrance area leading to a very large living room divided into TV area, and sitting area with fireplace. Dining room with table for 8, small corridor leading to the kitchen. Kitchen with French windows opening to the outdoors. kitchen with stone bbq. single bedroom for a nanny 1 shower room. All the rooms on the ground floor have wooden floors (except the kitchen and all the bathrooms). 3 steps below corridor, 1 double bedroom with sea view with direct access to the terrace connected to the garden and pool area , 1 bathroom with bathtub and hand held shower 1 small twin bedroom, 1 shower room, 1 double bedroom with sea view with direct access to the terrace connected to the garden with en suite very small shower room, 1 twin bedroom (convertible into a double on request). entrance by a separate external door external from the pool side:1 double bedroom with large en suite shower room with double basin. 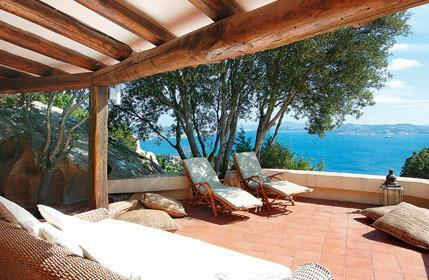 large patio with sofa and sun lounges with sea view, large table, leading to the dining room and sitting area. Sandy beach at 8 min walk, coffee shops and restaurant 2 min drive at the harbour of porto rafael, grocery shops at porto rafael mt 800, supermarket 3 kms, horse riding 7 km, tennis court 5 min walk, pevero golf course at about 35 kms, train station at palau 5 km, archaeoligical sites at arzachena 15km, and at 8km, bike rentals at palau 5 km, internet point at palau 5 km. Notes: Bedroom for nanny. 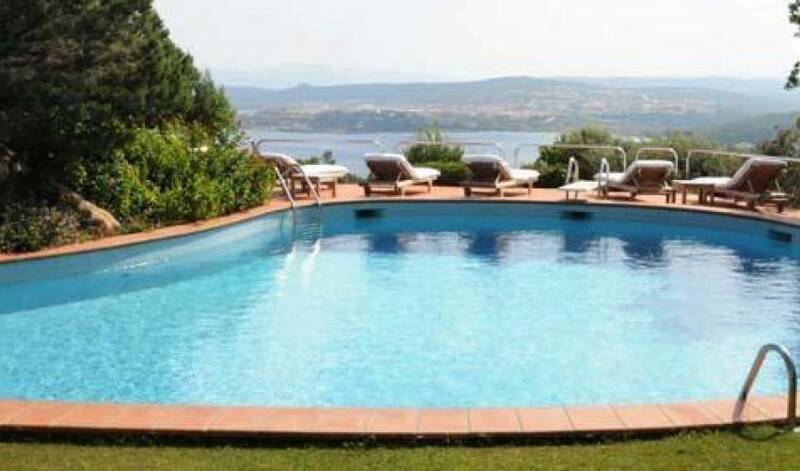 Due to the dangerous area around the pool, the villa is not suitable for children under 5. Small pets permitted. 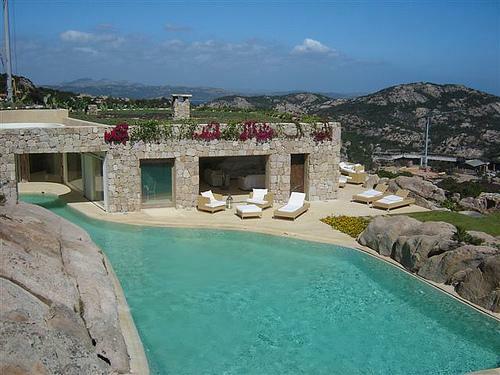 Main distances:bPalau 10 min drive, Porto Cervo 34km/21,08miles. 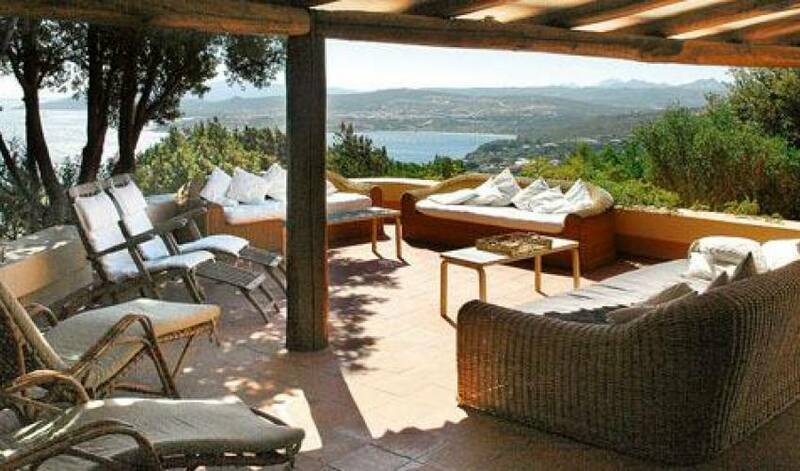 A small district set in between the rocks, there are no hotels or large complexes in Porto Raphael, just exclusive private villas and houses immersed in 150 hectares of Mediterranean vegetation, camouflaged between the rocks. 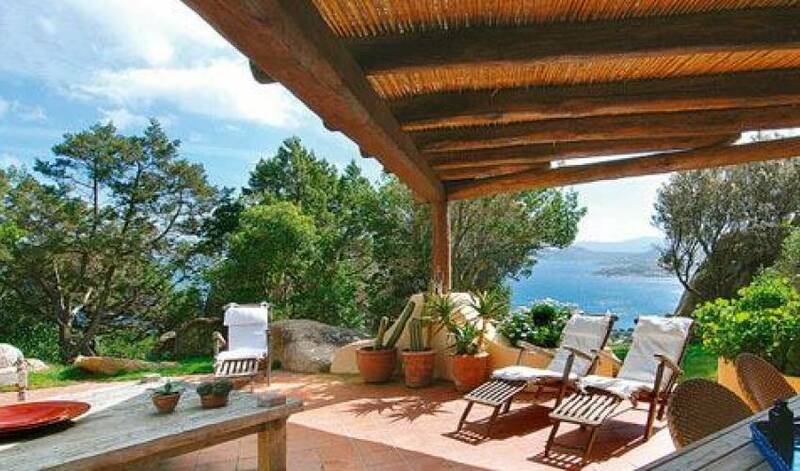 A "location", Porto Rafael which is discreet but not isolated. Where peace is guaranteed, relaxing in front of the sea sitting at a coffee bar in one of the two small squares of Porto Rafael. The first square, with a tobacconist, a small supermarket stocked with local delicacies, a shop selling books and Italian and foreign newspapers is the first stop for a mid morning coffee. The second small square on the sea front is only open to pedestrians, with lots of open air bars for snacks and aperitifs, and in the evening the possibility to stay and listen to music; various exclusive boutiques and two prestigious jewellers. For lovers of good food there are three restaurants. For sport lovers, a tennis and yachting club with diving centre and sailing centre. Security, with a doctor on call and permanent private security guards is guaranteed by the efficient consortium, which also organises an interesting calendar of social and cultural events in the town squares. The geographical position of Porto Rafael allows access by a short trip, also possible by simple dinghy, to all the islands of the Archipelago della Maddalena, a strictly protected marine park. 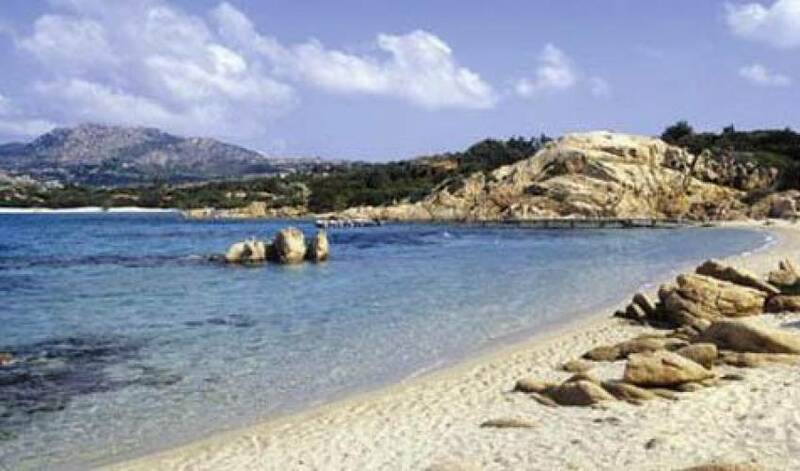 Corsica and its islands are just a few miles away and can also be reached by car and ferry departing from Palau and S. Teresa di Gallura. The ‘Costa Smeralda' with its famous Pevero Golf Club, Porto Cervo and Porto Rotondo are just 25 minutes by car from Porto Rafael. The archaeological sites and areas of natural interest are close by. The nearby town of Palau is a lively place with shops, restaurants and a colourful weekly market.